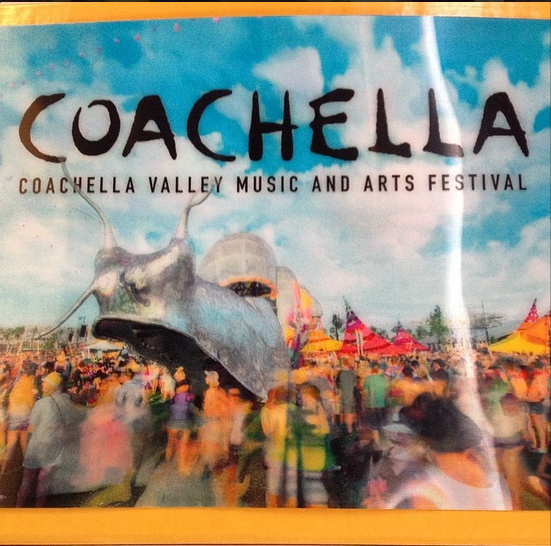 My friends had been receiving their Coachella 2014 pass boxes as early as two weeks ago. During the Coachella ticket purchasing panic I had in January, I kept my delivery address to my Greenpoint apartment instead of the MKG office to save time (30 seconds) and get to the final purchase. As that the delivery receipt required a signature, this was a huge risk and a foolish decision on my part. When the UPS tracking showed that my pass box (with both mine and my little sister’s wristbands inside) was held up in Austin, TX for three days, I felt that Austin was getting revenge for me opting not to attend SXSW for the sixth year in a row. However, finally, I got a notice on Saturday from my friendly postman and picked up the package from the Greenpoint Post Office this morning (it was honestly the loveliest post office experience I’ve ever had in my life). 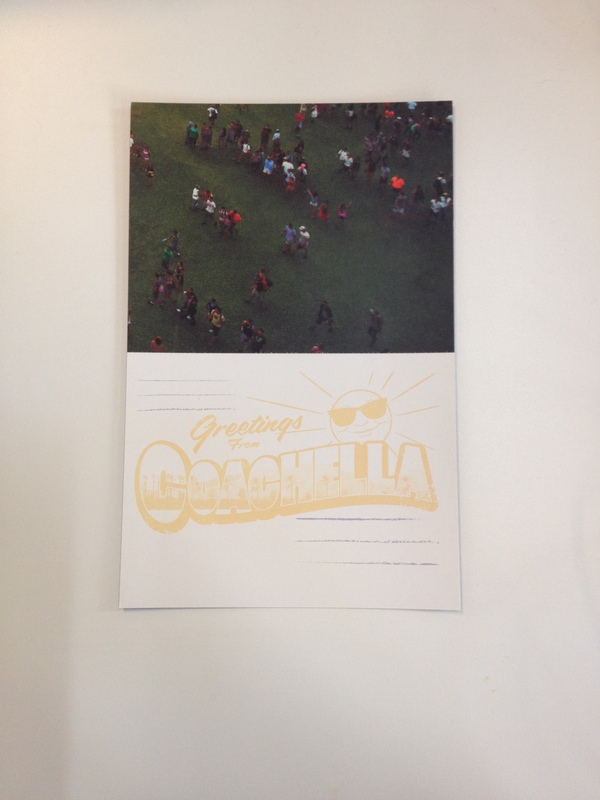 I’ve been showing off my Coachella pass box since I started attending. In 2012 the term I used was “delighted” at the diorama kit they provided. Last year I was a bit panicked about not losing the car pass I purchased. 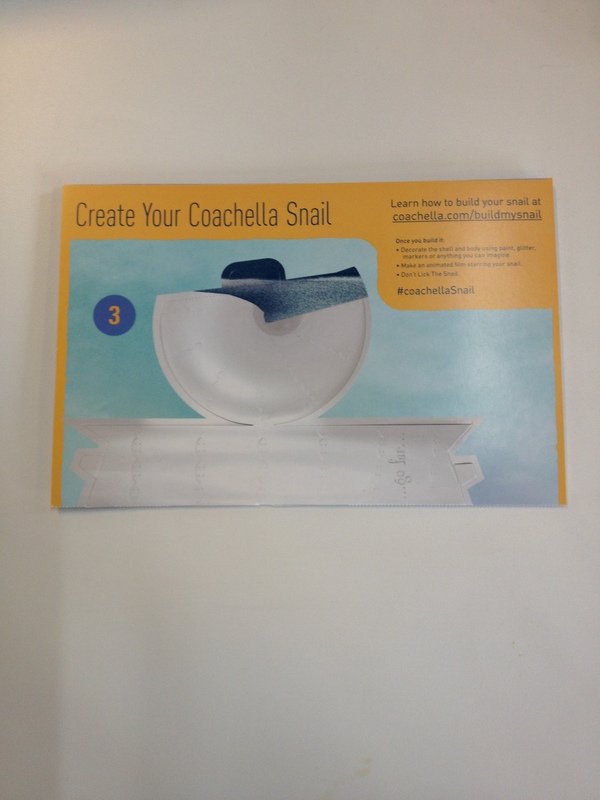 This year, gone is the diorama and instead is a snail making kit with the suggestion of creating a video of it. 1 – I’m glad the snail is back. It was this amazing art piece that would move verrryyyy slowly across the Coachella grounds and had an artist create art on the shell throughout the whole weekend. 2 – Props to Coachella for social media relevance with video a.k.a. Vine. Here is a Topsy stream of all the people who have created Vines with their Coachella Snail. The calendar also has a twist where each month / part of the poster is a friendly postcard to sent to friends who decided to “skip out” this year. I can’t believe it’s already less than a month away. For the first time, I will be going to the second weekend. Who else is going?